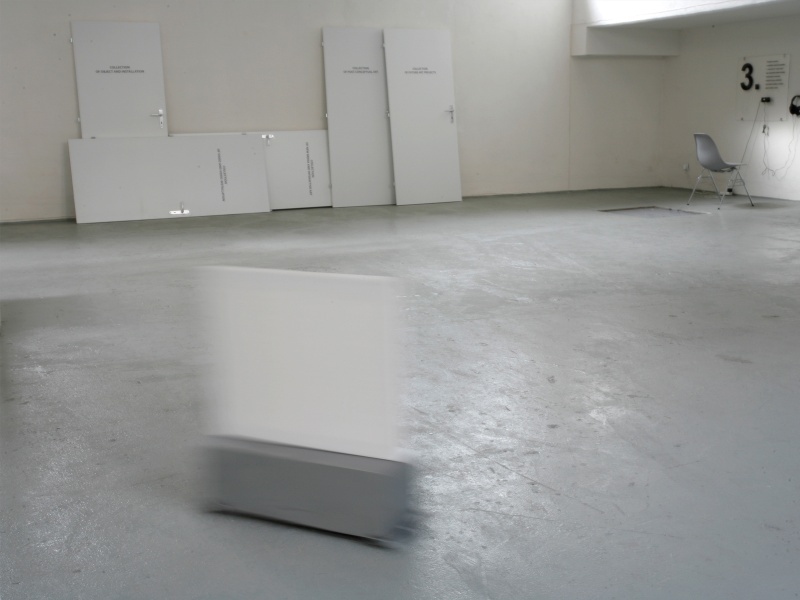 White canvas is wandering in the gallery space during the opening of an exhibition. Randomly softly hiting an obstacle – visitor – and afterward changing the direction to someone else. Again and again cruising and seeking the real artist.